PRICE REDUCTION!! 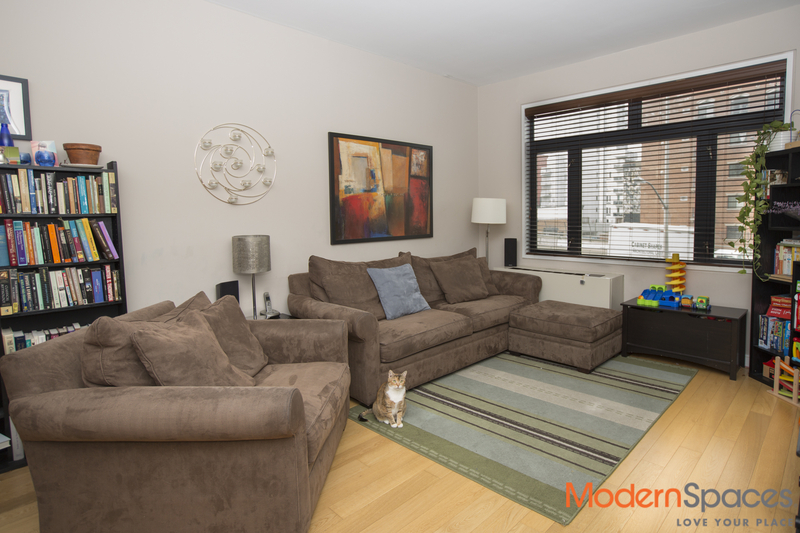 Large split 2 bed/2 bath in prime LIC in the full service LHaus condos. The spacious living room/dining room and open kitchen is great for entertaining!! This modern styled kitchen includes customized lacquered cabinetry w/pantry, white granite counter tops, and Bosch and Lieber stainless steel appliances including built in microwave. The master bedroom is quite large with lots of closet space including a walk in closet. 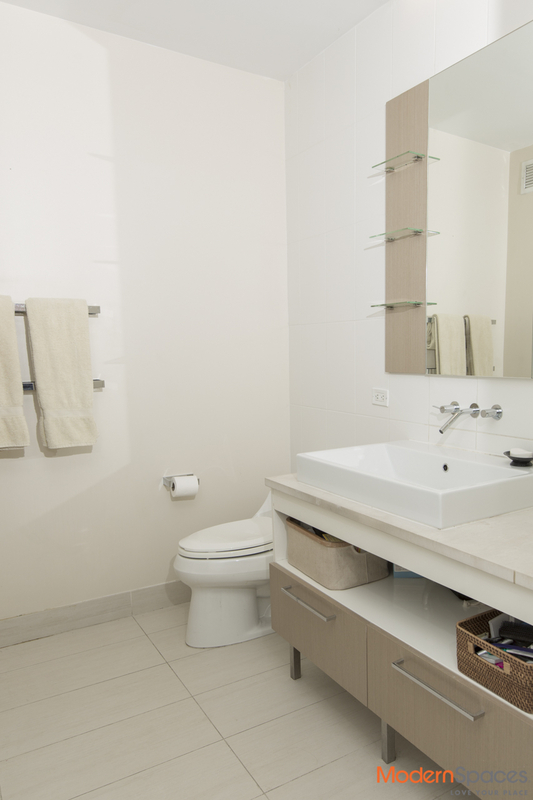 The en suite bathroom features porcelain tile floors, custom white lacquered vanity, glass wall tiles and shower. The guest bathroom includes the same finishes and additionally has the perfect Zen deep soaking tub. The second bedroom is big enough for a queen sized bed. Tucked away in a separate closet is a w/d. 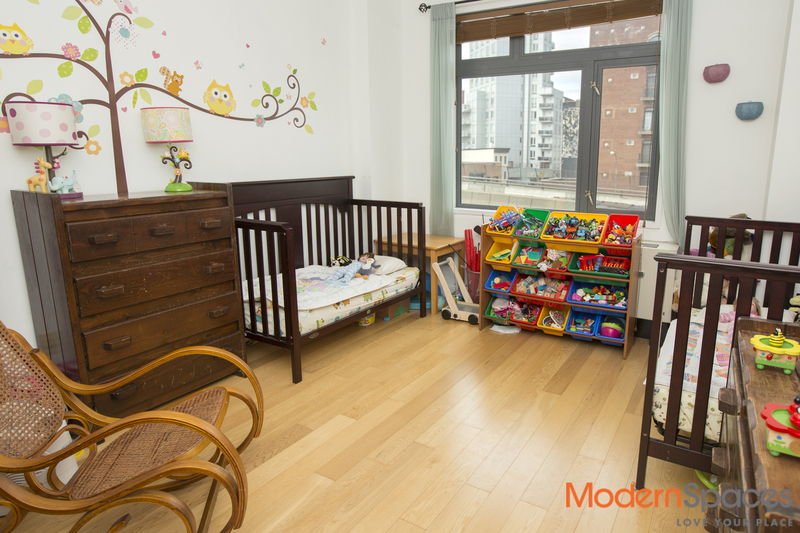 This unit offers lots of space with a modern twist. The LHaus is a full service building offering nearly 5,000 sq. 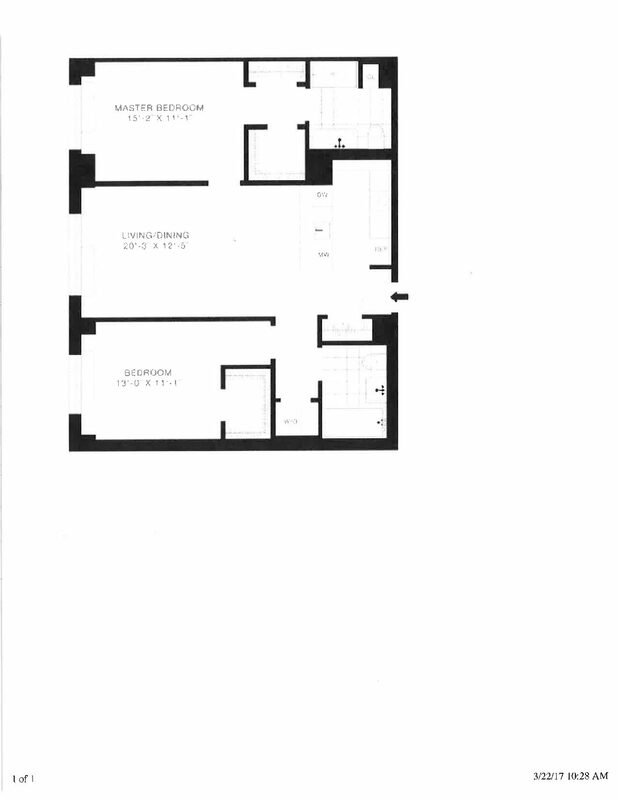 ft. of indoor amenities including a 1,500 sq. ft. Club Room (perfect for private parties) and a 1,700 sq. ft. 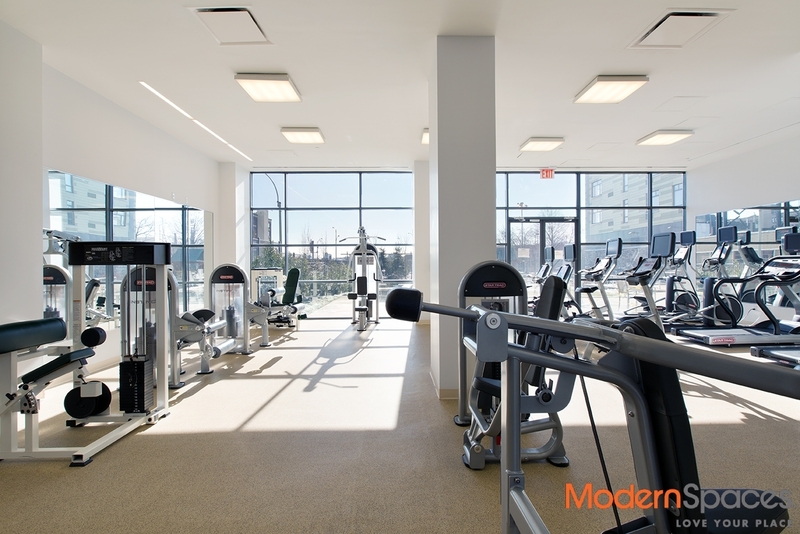 Fitness Room – both overlook “The Yard” which has gas grills, lounge chairs and tables. There is also a 575 sq. ft. Yoga Room, 880 sq. 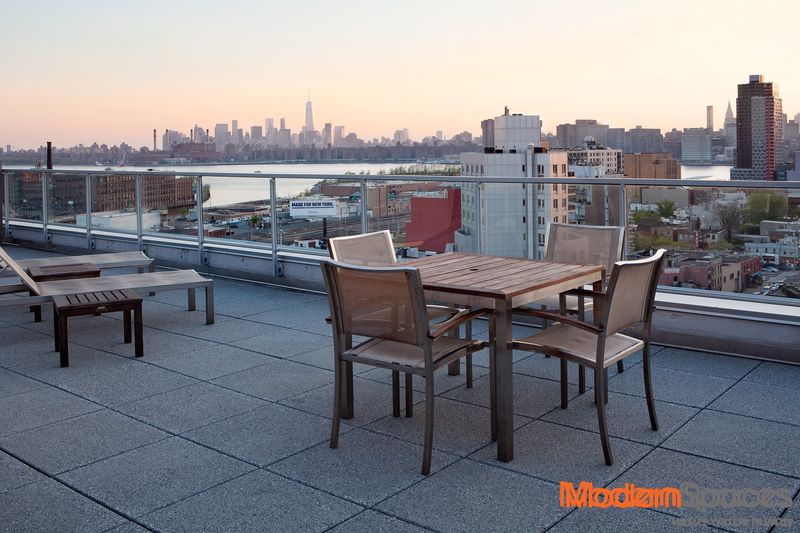 ft. Media Room, 2 Roof Terraces, 24/7 doorman and live-in Super. Conveniently, located one block to the 7 train (one stop and you are in Grand Central) and 3 blocks to the E, G and M trains, 2 blocks to Tribeca Pediatrics on Vernon Boulevard home to restaurants and cafes. A 15 year tax abatement in place (421-A) until 2025. Common charges include gas and hot water. This pet friendly building also has a doggie spa room you can easily bathe your pup!!! Life is easy and convenient at the LHaus!! PRICE REDUCTION!! 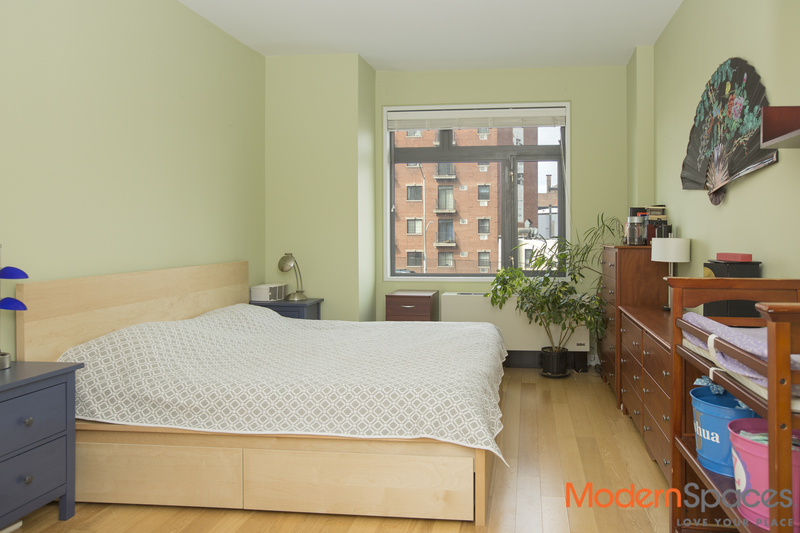 Large split 2 bed/2 bath in prime LIC in the full service LHaus condos. The spacious living room/dining room and open kitchen is great for entertaining!! This modern styled kitchen includes customized lacquered cabinetry w/pantry, white granite counter tops, and Bosch and Lieber stainless steel appliances including built in microwave. The master bedroom is quite large with lots of closet space including a walk in closet. The en suite bathroom features porcelain tile floors, custom white lacquered vanity, glass wall tiles and shower. The guest bathroom includes the same finishes and additionally has the perfect Zen deep soaking tub. The second bedroom is big enough for a queen sized bed. Tucked away in a separate closet is a w/d. 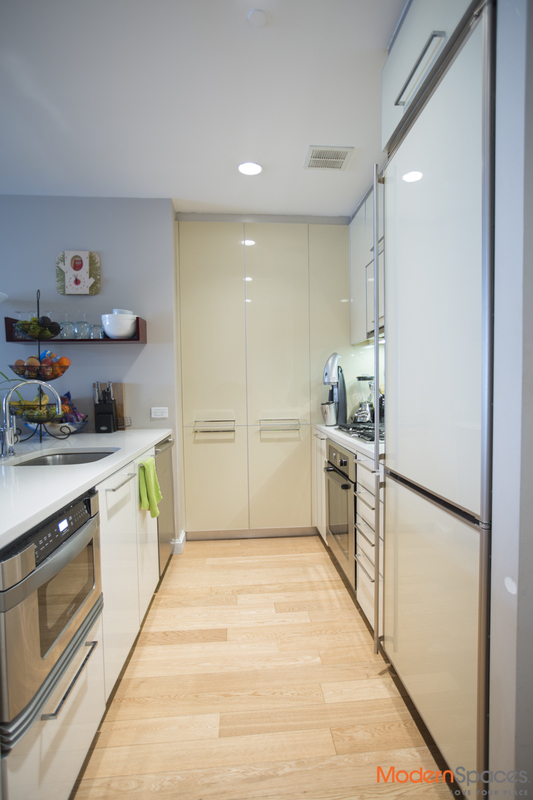 This unit offers lots of space with a modern twist. The LHaus is a full service building offering nearly 5,000 sq. 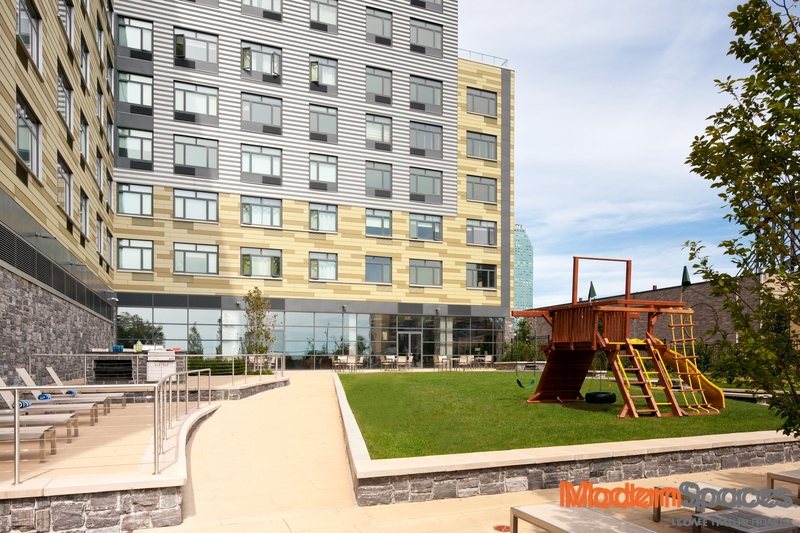 ft. of indoor amenities including a 1,500 sq. ft. Club Room (perfect for private parties) and a 1,700 sq. ft. Fitness Room - both overlook "The Yard" which has gas grills, lounge chairs and tables. There is also a 575 sq. ft. Yoga Room, 880 sq. 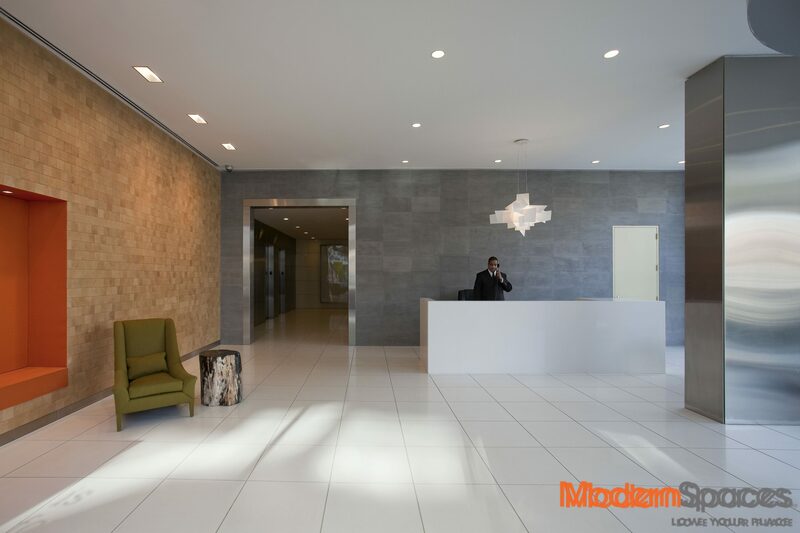 ft. Media Room, 2 Roof Terraces, 24/7 doorman and live-in Super. Conveniently, located one block to the 7 train (one stop and you are in Grand Central) and 3 blocks to the E, G and M trains, 2 blocks to Tribeca Pediatrics on Vernon Boulevard home to restaurants and cafes. A 15 year tax abatement in place (421-A) until 2025. Common charges include gas and hot water. This pet friendly building also has a doggie spa room you can easily bathe your pup!!! Life is easy and convenient at the LHaus!! Get in touch with an agent, today. Copyright © 2018 Modern Spaces. All rights reserved. 47-42 Vernon Blvd. Long Island City, New York 11101.